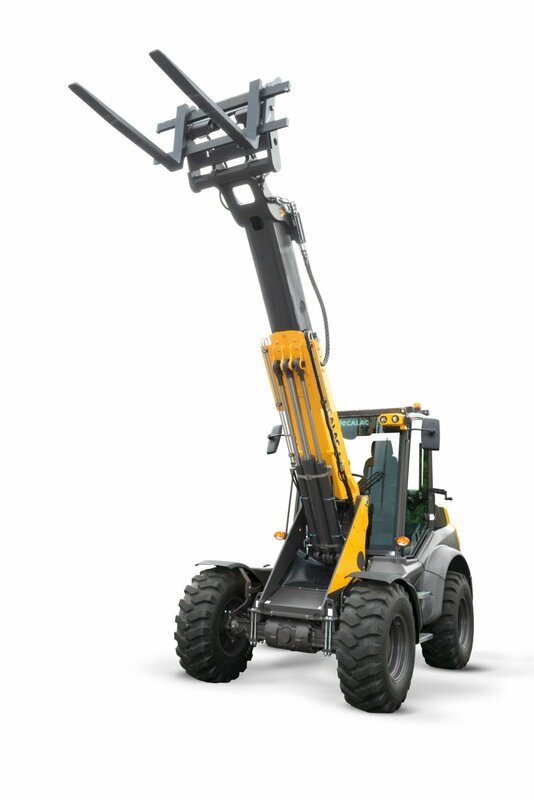 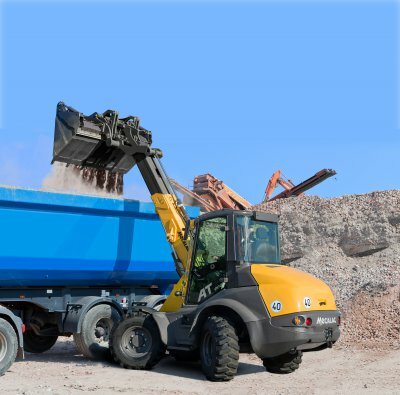 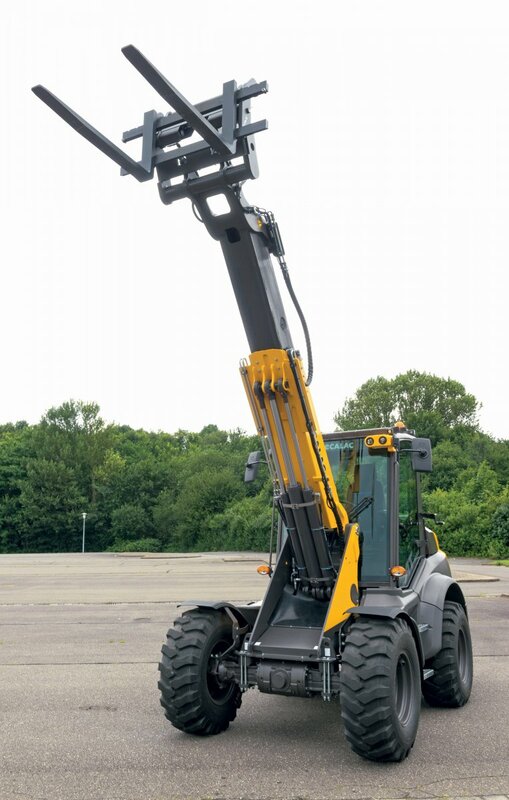 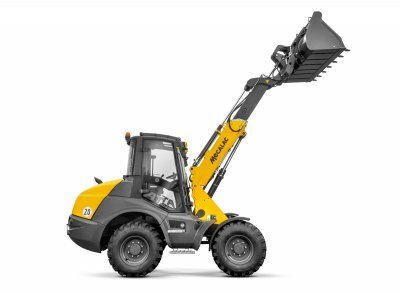 The four-wheel steered telescopic loader AT 900 was designed for stable, versatile operation in the most confined environments. 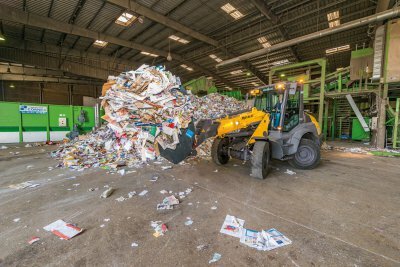 The powerful, 55 kW strong machine with a bucket capacity of 0.9 - 1.5 m³ features an enormous dumping height of 4.08 m at a dump angle of 45°. 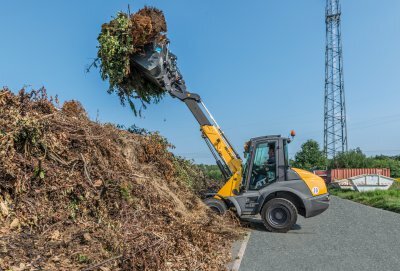 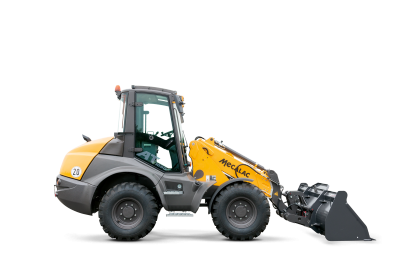 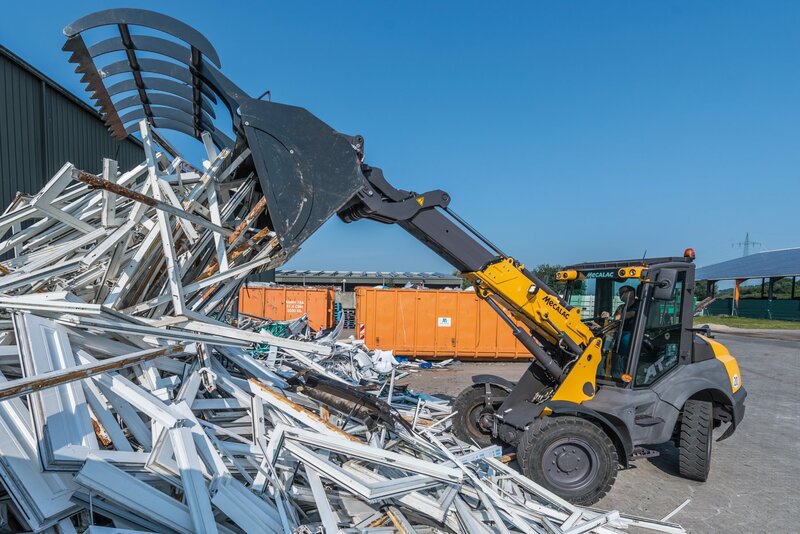 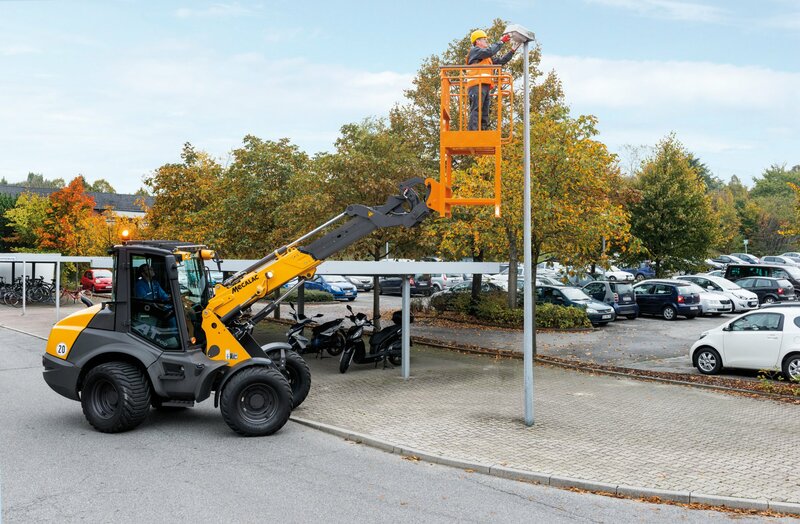 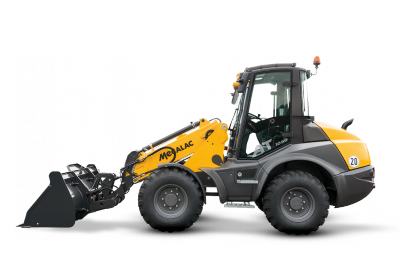 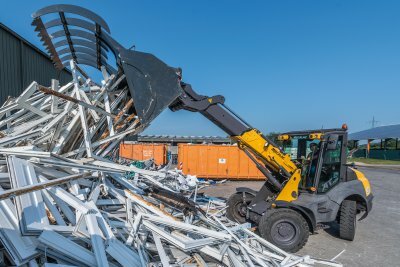 The newly developed Mecalac P-kinematics boasts high and constant tear-out and reset forces and a constant force curve across the entire tipping range.